Thank you again for joining for the second ever Bug Bash for Windows Insiders. As you know, we had kicked off Windows 10 Anniversary Update June 2016 Bug Bash earlier this week with build 14366 for PC and 14364 for Mobile. You can find more details on participating in the Bug Bash in the Feedback Hub article here. Throughout the week, we have kept the same themes as last Bug Bash, by covering topics ranging from over Windows experience, App, Devices, Personal, and Productive experience. You will see several new Quests for this Bug Bash and some from the previous Bug Bash. Most of the feedback for the Bug Bash is coming in from Desktop at 53.4% with Mobile following at 44.5%. The remaining feedback is coming from Server, HoloLens, IoT, and Xbox. Majority for the Bug Bash Feedback was received through the Feedback Hub but there is some that came via Feedback mini-surveys. We also converted number of minutes to person years in order to see how much time was spend doing the Bug Bash and it came to 57 person years. It’s pretty cool to see the amount of time spend by Insiders on Windows Bug Bash build. Keep the feedback coming. Our Engineering teams are actively looking at this feedback to identify gaps and future investments as well as understanding what needs to be addressed more immediately. If you have feedback on the Bug Bash itself or ideas on how we can make it better for future, leave feedback in the Bug Bash Feedback Hub feedback. 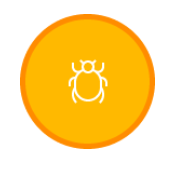 On a side note, if you participated in the Windows 10 Anniversary Upgrade April 2016 Bug Bash, you will be receiving ‘Windows 10 Anniversary Update April 2016 Bug Bash’ badge in Feedback Hub. We have started allocating these and you should be able to see them in Feedback Hub. There will also be a chance to earn Windows 10 Anniversary Upgrade June 2016 June Bug Bash badge in recognition of your contribution during Bug Bash. It will be rolled out after the June Bug Bash is over. Also just like last time, we have opened all the Quests for the weekend to get final feedback before closing the Bug Bash. THANK YOU for participating!